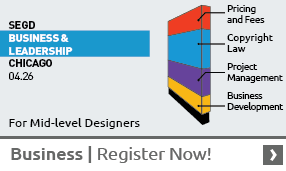 This course covers the initial conversations about the requirements of a formal SEGD client contract to be used for environmental graphic design projects. It is the precursor to the Contracts 101 Podcast providing background to it. The consensus reached in billing, intellectual capital, bonding, and insurance.